The global marketplace puts unusual demands and uncertain risks on today’s business travelers. Unfortunately, many businesses and organizations are misinformed about how their U.S. insurance policies will react if a claim occurs or a law suit is filed in a foreign country. 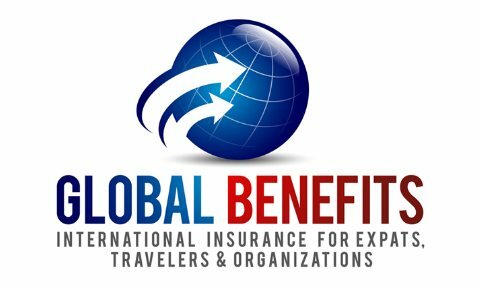 With this in mind, Global Benefits LLC commercial portfolio of international insurance products can reduce the risks associated with conducting business outside the U.S. One of our international insurance specialists is ready to address your international insurance needs. Workers Compensation Benefits for expatriate employee(s) and volunteers on permanent or temporary assignment abroad. Excess repatriation and endemic disease are included in this coverage. Employers’ Liability – covers accidents or diseases contracted outside U.S $1Million limit per occurrence. Statutory worker’s compensation for any company awarded a U.S. government contract where employees and subcontractors are required to work outside the U.S. Vital and mandatory - Failure to obtain DBA insurance carries stiff penalties and creates serious liability issues for an employer. Employers Liability insurance: Protecting businesses and organizations against legal actions arising from events, occurring outside the U.S. Essential insurance coverage for any company or organization that purchases, leases or rents vehicles for employees working, traveling or living abroad. This valuable protection is absolutely necessary for protecting your financial interests against lawsuits. Necessary coverage for all types of international businesses with multiple property exposures. Coverage includes: real and personal property, business interruption, property at exhibitions and while in transit to location. This valuable insurance includes coverage for any goods on board ocean going vessels, temporary storage and in transit to port for shipment coverage. Optional coverage available for named perils or all risks. Intelligence, prevention, and response – a must have for any group or individual traveling to global hotspots, where there is political and economic instability. Customized global political risk insurance: For preventing the loss of property, financial assets and people because of political instability or violence. LOWER COSTS. BETTER PROTECTION. GLOBAL BENEFITS.